Photo credit: Tyler Sessa on Flickr, 2008. There was no caption, but the Twitter account in question posts pictures of abandoned things. 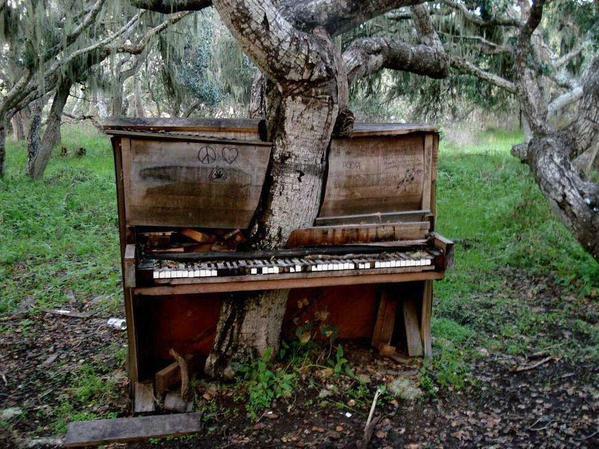 It looks like the tree is growing through the piano. 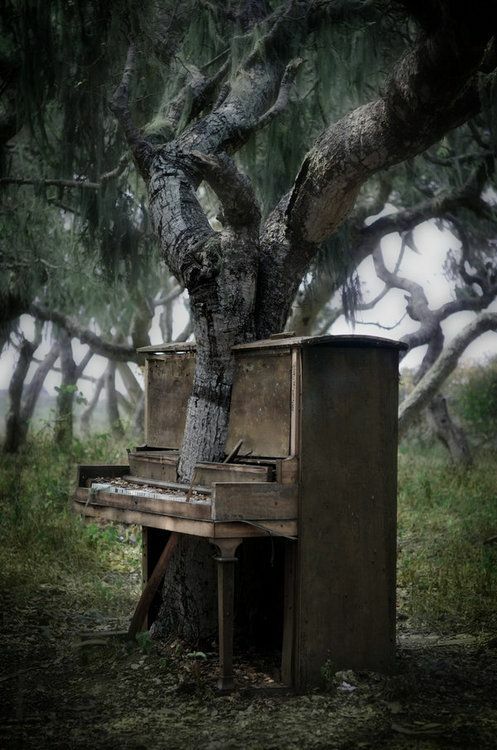 An artist/student called Jeff placed the piano there. You can find a video of him describing the artwork on American Nobodies – scroll down and click on a image that reads “Jeff” or watch it here. This hoax has been debunked earlier by e.g. @Picpedant on Twitter and Matt Novak on Gizmodo.